Living Your Souls Journey, March 9, 2019 What's It All About to you and discovering the reason why things happen to us, and learning from it! Dr. Vikke is a Transformational Counselor/Coach/Advisor. Her practice is based on the belief that you are not just a person but a soul on a path of evolution. Once you learn why things happen, then your life can become free and abundant. Getting to the root issue of a life problem can change your life forever. Truly understanding the spiritual laws is a specialty. Having been an attorney for over 26 years, she knows that laws affect us whether we know them, use them correctly or are ignorant of them. The Spiritual Laws exist on their on terms. Living Your Souls Journey gives insights, guidance and simple steps to help make your life easier and happier. The show airs each Saturday at 7 EST. You can call in and ask questions or listen in for information on living your souls journey. You can contact Dr. Vikke at info@vikkeford.com and can visit her virtual office at www.vikkeford.com. 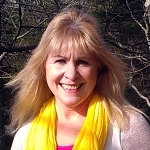 Vikke is a licensed attorney, Transpersonal Psychologist, Ordained Minister and Professional Coach. Be sure and order these books by Vikke on Amazon! Please apply for a Spiritual Law Consulting Session by visiting our Contact Page.